Would you like to whittle your waist or get rid of love handles for good? At the Center for Women's Health in Oxford, North Carolina, SmartLipo™ offers patients the option to melt away stubborn fat and reshape their bodies without invasive surgery. Book your initial consultation today and soon learn what it’s like to have the body of your dreams. SmartLipo is a minimally invasive laser-assisted body contouring procedure that helps to eliminate fat in areas like the abdomen, buttocks, neck, and thighs. As a method for permanent fat elimination, it is ideal for patients who have stubborn fat that has not responded to diet or exercise interventions. As a medical procedure, SmartLipo involves the use of a thin tube that contains a laser fiber. The tube, when inserted into areas of fat, radiates thermal energy to fat cells that “loosens” these cells and allows your provider to remove them through suction easily. The result is less fat and tighter, smoother contours. As one of the most widely used and studied medical fat removal systems, it is becoming a popular alternative to traditional liposuction. SmartLipo is a minimally invasive procedure that takes about one to two hours for most patients. Your appointment time may vary depending on how many areas you’re treating and how much fat you're removing. After your skin is cleaned and prepped, your physician applies local anesthesia to numb the treatment area. Your physician then inserts a small tube through a fine incision in the targeted area. As the tube delivers heat to your fat cells, they're gently suctioned away. Some patients might feel a light amount of pressure during the procedure, but you shouldn't experience any pain. After a SmartLipo procedure, you might be slightly tender or sore, but many people fully recover within a few days. Fast results. You should see results within a week, and results will continue to improve over three to six months. Easy recovery. Most patients get back to their normal activities quickly, without the swelling and bruising associated with other fat-removal procedures. Minimal scarring. Since the incision site is small, you probably won’t notice any scarring, especially if you follow your aftercare instructions closely. SmartLipo results are also permanent, which means if you maintain your weight and healthy lifestyle habits, you can enjoy your new body for the rest of your life. 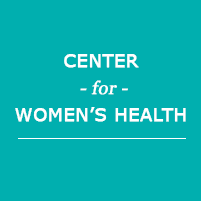 To schedule a SmartLipo consultation, book an appointment with the Center for Women’s Health today, serving the Triangle Area (Raleigh/Durham, Carey, Chapel Hill), Wake County, Clarksville, VA, and South Boston.